What should we expect from the portrait session? Most importantly, these portraits should reflect YOU. If you are quieter in your affection for each other I won't ask you to be more physical than you normally would. If you are very expressive and emotive I will not stifle that, or ask you to be calmer. If you are silly and love to joke, I'll capture your sense of humour. I strive for these portraits to reflect you in a raw and honest way. This is likely one of the first moments you and your new husband or wife have spent together without the presence of your guests. Take a breath and really soak it all in -- you're married! Some portraits will be camera-aware, meaning you are both looking in my directly and smiling. These images are often a favourite of moms and relatives alike. Other portraits will showcase the two of you interacting naturally -- laughing, cuddling, walking, talking and joking, or however you typically act together! All of the images you see in my portfolio are REAL moments. None of them are staged, and none of them are formally posed. I simply locate beautiful lighting and a lovely background, and ask couples to stand there. This ensures that the "stage is set" for when a real moment occurs naturally. I might give a very simple direction -- "whisper into her ear your three favourite things about her", and then let the couple take it from there. Having an engagement session prior to your wedding day certainly helps here, as this hour we will spend together allows you to become very comfortable with this style of direction and also allows me a chance to see how the two of you interact together, such that my work represents your real selves. How long do portraits take, typically? 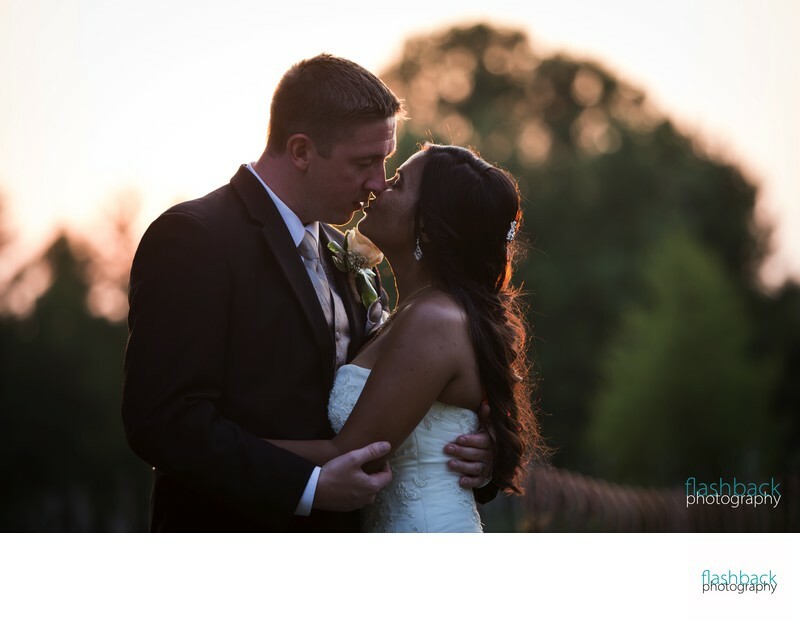 The length and location of your portrait session is hugely dependent on your overall timeline for the wedding day. Do you plan to see each other prior to the ceremony? If so, your portrait session will immediately follow the "first look". Sometimes Family Formal portraits (groupings of your family on both sides) and photographs of your bridal party take place during this time also. You can arrange the "first look" to take place as early in the day as you prefer, allowing anywhere from half an hour to several hours for portraits -- whatever you prefer. This timeline also allows you to attend some of your cocktail hour after the ceremony, since we had time for portraits earlier in the day. If you would rather wait and see each other at your ceremony, the portrait session will take place during cocktail hour. We typically have 60-90 minutes during this time to cover your Family Formals, bridal party and the portrait session. It's a little tighter, for sure, and might not allow us to drive to an alternate location, outside of your venue. As long as we plan ahead I will be able to let you know whether your vision can be accomplished in the time we have available, or whether we should consider a different timeline structure. I absolutely love helping with wedding timelines and am certainly very willing to discuss the best options with you, one-on-one. Please give me a call! Where should we go for the portrait session? Consider the location for these portraits. 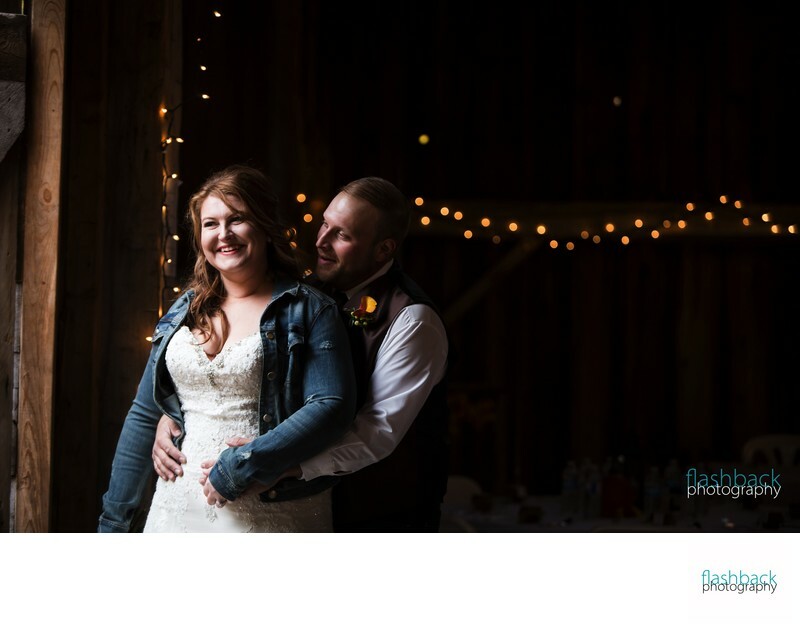 Sometimes it is simply most convenient to have these captured at your venue, and so many venues offer absolutely fantastic backgrounds right there on the property. This is a wonderful option for tighter timelines. There are also options to go elsewhere during this section of the day; perhaps there is a special place you would have liked to be married but which could not accommodate all of your guests, or perhaps you simply would like two very distinct backgrounds for your photographs. Is there a near-by park you love? How about the university campus where you met? A friend's farm property? A cafe? The options are endless -- I encourage you to think out of the box! As long as we account for the time to get there, you may also include multiple locations if you wish. If you are looking for suggestions of my favourite locations for portraits, consider this list of places in Simcoe County, Toronto and the GTA, or the Peterborough Region. 1. Relax! Enjoy this time together and try to forget my presence altogether. I will stay quite far back and allow you to become lost in the moment. When I need your attention for a more formal camera-aware portrait I will step in and ask kindly.In the meantime, just focus on each other and the excitement of your wedding day. 2. If you are interested in having your portraits taken at multiple locations please let me know ahead of time so that we can work together to ensure your timeline offers this opportunity.